This 2019 BOM starts with Nancy Rink's design & directions, adds Marcus Fabrics and guides you to create a 88" x 98" lovely quilt! Amish With a Twist will start in January, 2019. See the pattern & fabrics? This shop kit has the same fabrics as included in your kit. Come by to see & touch the lovely fabrics - so pretty! ACQ will offer this BOM a bit differently, there will be 2 levels of participation. Level 1 - Includes pattern booklet (with 3 extra patterns) & all the fabrics to make the top (including borders & binding). The fabrics will be picked up once a month. 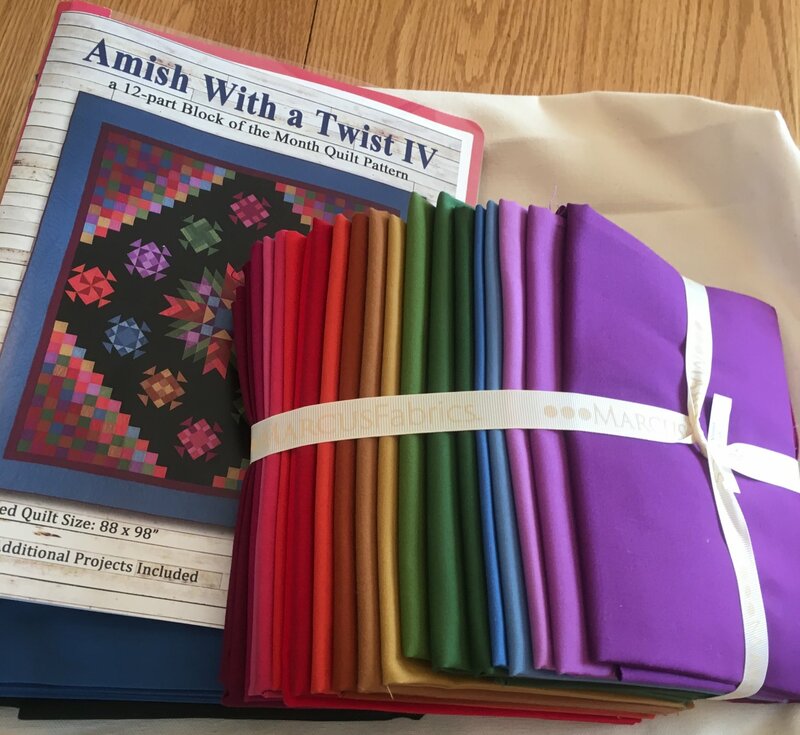 Level 2 - Includes Level 1 (Pattern booklet & top, borders, & binding fabrics). In addition, you will receive a handout (with handy tips, tricks and/or shortcuts) & a 2-hour class each month. It is like a down payment on a car, the amount has already been subtracted from the monthly fee.